2014 is an important year in our nation’s military and political history. It marks the 95th anniversary of the founding of the Latvian Army. 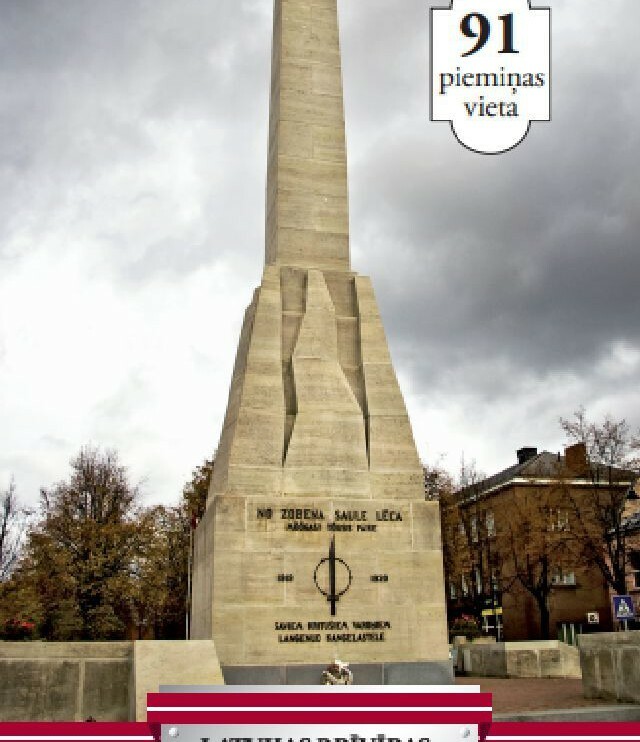 We give thanks to the soldiers of the Latvian Army, who liberated our nation from our enemies during Latvia’s War of Independence (1918-1920) and during the period of the emergence of our statehood. In cooperation its partners, the association “Shamir” has created a map and guide of Latvia’s War of Independence (1918-1920). The map and guide has been published in four languages – Latvian, English, German and Russian. 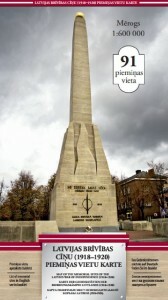 The map shows the 91 memorial sites and the five stages of the development of Latvia’s War of Independence. The guide contains detailed descriptions of the memorial sites, photos of the monuments and fragments of large-scale maps. The complete set is available at the Riga Ghetto and Latvian Holocaust Museum (Maskavas street 14a, Riga). Price is 15 EUR. While creating this project, we realized that it was important to actively involve young people from Latvian schools in this project. In doing so, we wanted to deepen their knowledge of the significance of the War of Independence in Latvian history. For that reason, 1,000 additional maps of Latvia’ s War of Independence were made and will be distributed to every Latvian school. In addition, a contest will be held: “For the freedom and independence of Fatherland: pupils’ creative work about memorial sites of the Latvia War of Independence (1918-1920)”. Detailed information will follow.